I keenly remember my baptism at the South Highland Church in Little Rock, Arkansas. The baptistery was backed by a picture of the Jordan River in Israel (artist conception) making it appear that those waters poured into the pool into which I was immersed. 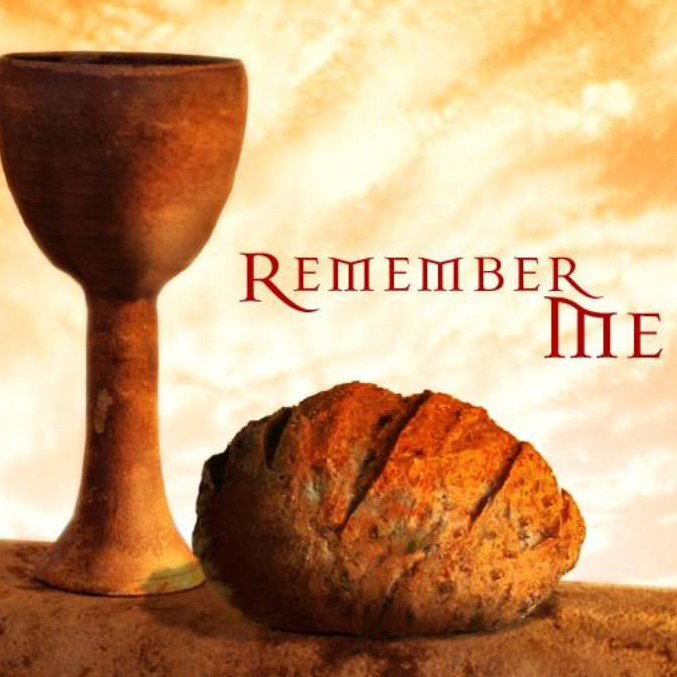 I also keenly remember my experience with the Lord’s Supper. “Do this in memory of me” was drummed into my mind and my young heart. I was too hard on myself. I would read passages of scripture to keep my wandering mind on Jesus. I would imagine him hanging on the cross and the awful pain he suffered for me. Afraid that my mind would wander and I would drink “damnation” rather than salvation. However, I’m sure I made Jesus feel joy, contrary to my misgivings, to see my intent mind straining at keeping nothing else but Him in my mind. As for me, may I never boast about anything except the cross of our Lord Jesus Christ. Because of that cross, my interest in this world has been crucified, and the world’s interest in me has also died….What matters is whether we have been transformed into a new creation. May God’s peace and mercy be upon all who live by this principle; they are the new people of God, Galatians 6:4-16. So whether I feel like it or not. Whether I want to go to the coast or mountains or not. Whether friends and family try to tempt me to skip. I think there is something corrective and inspiring about this meal. So for 62 years, my mind strong or weak, I have been reminded that there is something medicinal about the Lord’s Supper. It is a dose of love when you feel unloved. It is family, purpose, and direction when your life feels adrift. It is saying “yes” to the great Someone when you feel convictionless. It is courage when you don’t know what to say to the world. It is humility when you feel prideful. I don’t want you to worry as I did as a young man that you have to have perfect control of your mind and your thoughts. I do want you to think about Jesus. Not me. Not anyone else sitting here. Just think about him and how much he loves you. Insist that Jesus is our song, our creed, our manifesto, and our only testimony. May nothing EVER distract us from thinking about Jesus. Let’s eat this meal together now.